Image | This entry was posted in dogs with blogs, photos of dogs, Scotties, The Scottie Chronicles and tagged dog photography, dogs, pets, Scotties. Bookmark the permalink. I’m kinda silent also. 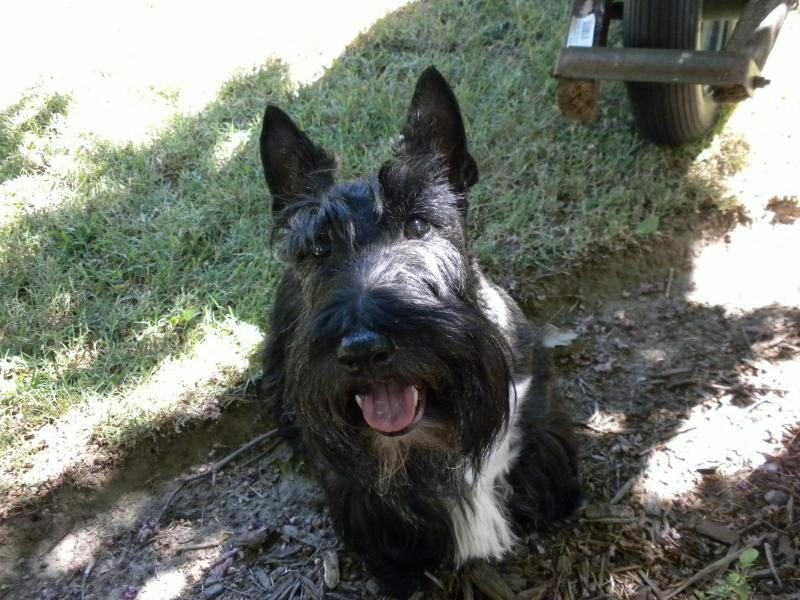 Yesterday, we lost another member of Blogville to the big C. Angus Fala was a 13 year old Scottie. angusfala.com. So sorry for your loss. We shall send up an Arooo hymn for him today. Hello my gorgeous friend! Love your smile 🙂 Hope you have a fabulous Sunday. You look so pleased to be snoopervising in the garden, Stuart! Ah, the site of that wheelbarrow behind you says Spring is on its way. You should be riding in the wheelbarrow like a king being carried on his throne…….but I guess the Peeps have other ideas. Nice smile! We heard about Angus……sent hugs to his family…………as for you – you look ready for Spring Stuart! You do have a pawfect Scottie smiley, luffs it!